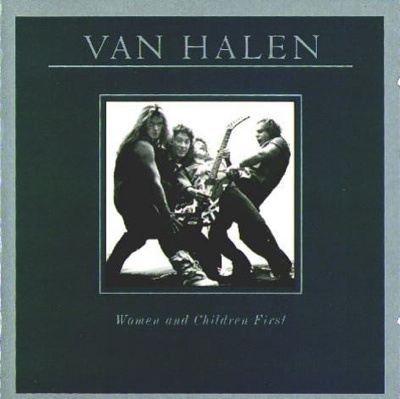 Van Halen’s third album, released in March, 1980. 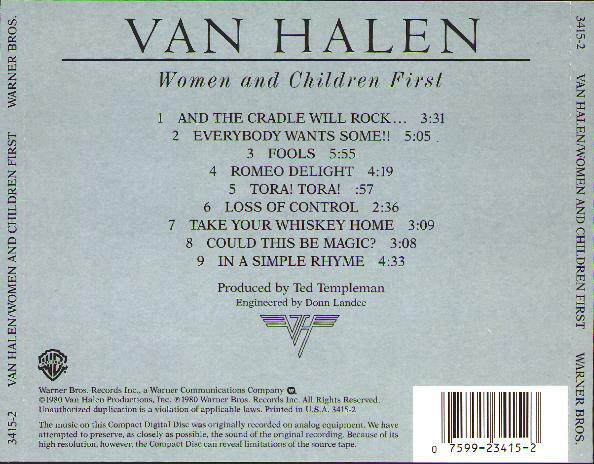 Women and Children First marked the first time Van Halen completely filled an album with original songs, and David Lee Roth gave perhaps his best vocal performance as a member of Van Halen. Again, Ted Templeman produced the album, recorded at Sunset Sound, in just 2 1/2 weeks. The band recorded most of the songs live , with again, very few overdubs.Although this record did not yield a hit single, the album charted as high as #6 in the States and #15 in the U.K. It also became the band’s third multi-platinum release. The band’s 1980 “Invasion Tour was more successful than their previous two tours, and the performances even more intense. Also, Eddie Van Halen received his third straight “Best Rock Guitarist of the Year” award from the readers of Guitar Player magazine.